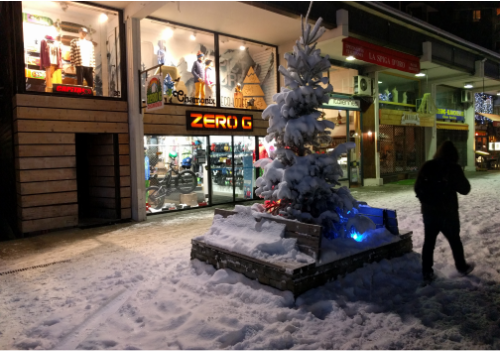 We are a bike shop in the summer and a snowboard shop in the winter, perfectly located high in the French Alps, in the resort of Chamonix. The shop is called Zero G, and we've been here since 1987. We have between ten and fiteen employees at a time depending of time of year, and a footprint of 400m². We're service-orientated, like all shops ought to be nowadays, and all of our employees speak French & English. We can also help you in Italian, Spanish, and Portugese. Our mission is to get you out on the mountain with minimum hassle, with the best possible kit for you & your wallet. 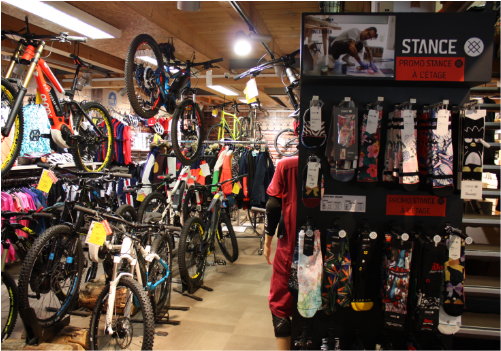 In the summer we're a really big Specialized bike shop, though we have product from Santa Cruz, Cannondale, Troy Lee Designs, Giro, Ion, Dainese, Endura, Assos, Mavic, TSG, Bluegrass, Maxxis and lots more. We also sell electric bikes. Most of what we do appears on the website apart from sundries like pumps, socks, inner tubes & bike spares...we have tons of this stuff in-store. 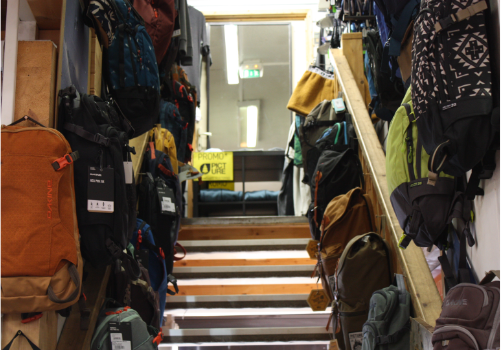 In winter we're a big Burton store but also carry Lib Tech, Jones Snowboards, GNU, Yes, Karakoram, Spark R&D, Picture Organic Clothing, Analog, Sweet Protection, CLWR, Holden and AK. We are France's biggest splitboard shop, and we're the place all the other shops send people when they need anything unique, like custom-machined parts, hard-to-find screws or even obsolete or out-of-date binding spares. We have the lot. 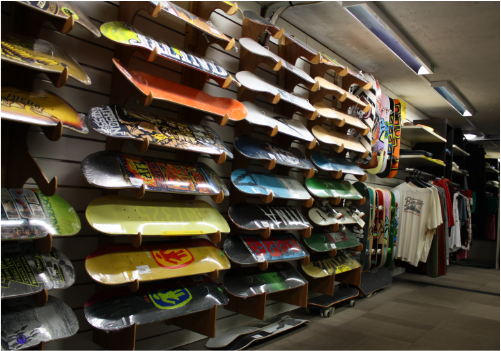 We're the primary core rider / skater / biker hangout in town year round, and our retail space is on two floors. 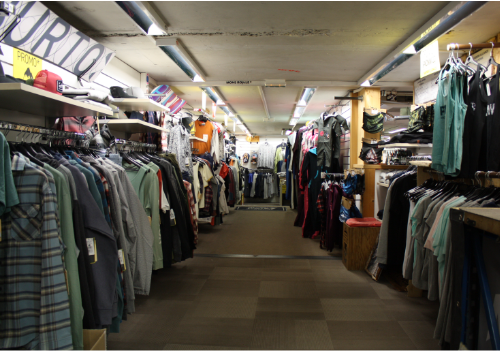 Upstairs is rammed with streetwear brands like Picture Organic Clothing, Space Monkeys, Nikita, Analog, Vans, Santa Cruz and Burton. 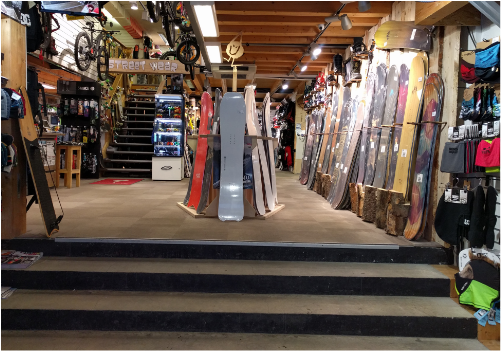 We rent the stuff we sell, and have a seperate rental space opposite the store where we rent out snowboards, skis, splitboards, road bikes and mountain bikes. We also have a year-round three-mechanic workshop which is second to none in the valley, be it for fixing a torn-out snowboard edge, or fixing a stuck bottom bracket on a mountain bike. Come say hi when you get into town!